Availability of newly built and presale condos skyrockets in Metro Vancouver. All areas of Metro Vancouver saw a jump in inventory, but the increase was steepest in the ringed area defined as Inner Metro (which includes Burnaby, New Westminster, Richmond, West Vancouver, North Vancouver, South Delta, Tri-Cities and Squamish, but not the City of Vancouver). However, only 99 of those 5,918 condo units were complete and move-in ready (described as “standing inventory”) at the end of 2018. When compared to the same quarter five years ago, this represents a 608-unit (86 per cent) decline in move-in ready concrete condominiums across Metro Vancouver. This suggests that demand over the past five years has increased sufficiently to absorb presale units before they are completed, even if the absorption rate is now slowing. The number of available new wood-framed condo units, which are studied separately in the report, did not climb as much as concrete condos, but they account for a much smaller share of the market. What it costs to build condo in Canada? In the city of Vancouver, where an acre zoned for high-density residential can top $40 million, the average price of a new high-rise condo apartment is now $1,345 per square foot, up 39 per cent from a year ago. The construction costs presented here represent hard costs only, and do not include soft costs, such as legal and insurance costs, government fees, financing costs, environmental costs, property taxes, marketing and sales costs and commissions, or the developer profit. What would be the cost to build single family home in Greater Vancouver? Definietly the cost depends on the area, landscaping needs, size of the house... Call Oleg Tsaryov for consulation. Residential home sales in the region totalled 1,484 in February 2019, a 32.8 per cent decrease from the 2,207 sales recorded in February 2018, and a 34.5 per cent increase from the 1,103 homes sold in January 2019. Home buyers face less competition today, have more selection to choose from and more time to make their decisions. 3,892 detached, attached and apartment properties newly listed for sale on the Multiple Listing Service® (MLS®) in Metro Vancouver in February 2019. This represents a 7.8 per cent decrease compared to the 4,223 homes listed in February 2018 and a 19.7 per cent decrease compared to the 4,848 homes listed in January 2019. Homes priced well for today’s market are attracting interest, however, buyers are choosing to take a wait-and-see approach for the time being. REALTORS® continue to experience more traffic at open houses. We’ll see if this trend leads to increased sales activity during the spring market. 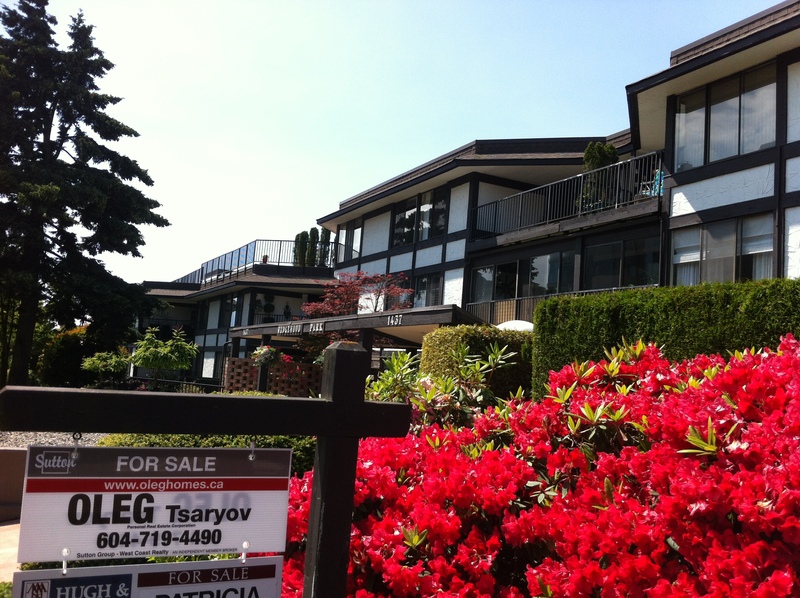 Please call Oleg Tsaryov, Realtor in Vancouver to get more detailed information. Oleg Tsaryov 604-719-4490. Information provided by Real Estate Board of Greater Vancouver. The Ministry of Finance said letters outlining the first speculation tax fees and exemption processes will begin arriving at all homes in Greater Victoria, Nanaimo, Kelowna and Metro Vancouver. It will be up to all homeowners to apply for exemptions, with a deadline of March 31. Those who don’t apply, or qualify, will be sent tax bills due to be paid by July 2. The opt-out process will become an annual event for property owners under the new speculation tax rules. People who pay mistakenly can get a rebate within six years. Although first billed as a surcharge on out-of-province real estate speculators, it was later revealed that estimated of two-thirds of those who will pay the tax will be British Columbians. The arcticle is Copyright © of The Province. Of the 274 homes sold in the Greater Vancouver board region last week, 155 went for more than their asking price, our weekly #REWCAP market roundup reveals. This is despite sales the same week (July 31-August 6, registered sold as of August 10) slowing considerably on week-by-week and month-by-month basis, as the warm weather kept potential buyers at bay. Sellers also continued to sit on the sidelines, with new listings coming on the market in the same week dropping below the 1,000 mark. Despite the lower numbers of newly marketed homes, overall resale inventory is rising because of the even slower sales. As of August 10, there were 9,162 active home listings on the Greater Vancouver Multiple Listing Service® - compared with 8,515 as of the end of June and 8,168 at the end of May. This increased choice for buyers has not dampened prices, with median sale prices in all three home categories this week higher than last week, and a larger proportion of homes (56.6% versus 53%) selling for over asking price. Looking at condos, 62% of the 175 homes to sell last week exchanged hands for more than their sticker price. The median sale price was $595,000. 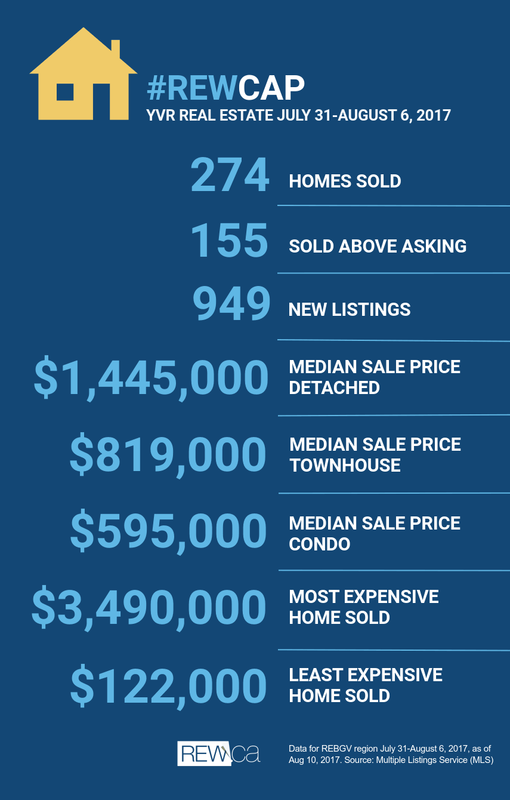 Townhouses (including half-duplexes and row homes) also saw an increased median selling price at more than $800,000. The detached home market continued to plod along, with 56 home sales across the entire Greater Vancouver region last week, 25 of which were sold above asking price. The priciest detached house to sell that week, registered as of August 10, was a beautiful heritage-style, 2003-built house in MacKenzie Heights on the West Side, which sold for $3,410,000. The federal government of Canada has begun cracking down on capital gains taxes, which home owners are only exempt from on the sale of their principal residence. You should know that laneway houses and rental suites on a property are not exempt from capital gains tax upon the sale of the home. The federal government has introduced a new rule that for the first time requires home owners to declare the sale of their principal residence in their annual income tax return, as of the 2017 tax year. As has been the case for many years, income from rental units – including laneway homes and suites on the property – must also be declared. This new combination of information will allow the Canada Revenue Agency to see where home sellers are selling a principal residence that has been operating rental suites, leaving the portion of the home that was rented out liable for capital gains tax. People have been playing pretty fast and loose with the principal residence exemption on your home… It’s not just foreign buyers, it’s Canadians themselves who have been doing this for years. The problem now is that there has been rapid price appreciation in places like Metro Vancouver, and increasingly more homes are being allowed on individual lots [and they are required to be rented out or face Empty Homes taxation. If you have a single-family home with two rental suites in the basement and a laneway house, all rented out. Only a third of the house could be said to be the principal residence and the rest is income-producing property and subject to capital gains tax. When asked if this is at odds with the City of Vancouver’s mandate to increase the numbers of basement suites and laneway homes being added to the rental pool. This is an indication of how the different levels of government don’t co-operate together on the housing file, with the federal government doing one thing and the province and municipalities doing something else – and the poor homeowner is just trying to follow the rules. But they’re the ones who get blindsided. It’s a great idea to have low-density rentals to help with the mortgages in the most expensive places in Canada – not so great if the homeowner is going to get nailed with huge capital gains tax. And a lot of these are older homeowners who are going to get nailed. mortgage portfolio insurance will be same as those for insured high-ratio mortgages. Residential property sales in Metro Vancouver reached 4,375 on the Multiple Listing Service® (MLS®) in June 2015. This represents a 28.4 per cent increase compared to the 3,406 sales recorded in June 2014, and an increase of 7.9 per cent compared to the 4,056 sales in May 2015.
the news have been provided by the real estate board of Greater Vancouver. Was it a typical year for the Metro Vancouver housing market? The region’s home sale and listing totals for 2014 both rank fifth when compared against the past 10 years of activity, while home prices increased. Total sales of detached, attached and apartment properties in 2014 reached 33,116, a 16.1 % increase from the 28,524 sales recorded in 2013, and a 32.3 % increase over the 25,032 residential sales in 2012. The total number of residential properties listed for sale on MLS® in Metro Vancouver increased 2.4 % in 2014 to 56,066 compared to the 54,742 properties listed in 2013. Looking back further, last year’s total represents a four per cent decline compared to the 58,379 residential properties listed for sale in 2012. While home buyer and seller activity created balanced market conditions within the region, we also experienced some upward pressure on home prices over the course of the year. The MLS® Home Price Index composite benchmark price for all residential properties in Metro Vancouver ends the year at $638,500. This represents a 5.8 %increase compared to December 2013. Sales of houses in Greater Vancouver area in December 2014 reached 833, an increase of 9.3 per cent from the 762 detached sales recorded in December 2013. The benchmark price for homes increased 8.1 per cent from December 2013 to $1,002,200. Sales of apartment properties in Greater Vancouver, Canada reached 912 in December 2014, an increase of 7.3 per cent compared to the 850 sales in December 2013.The benchmark price of an apartment property increased 3.5 per cent from December 2013 to $380,700. Attached property sales in Greater Vancouver, Canada in December 2014 totalled 371, an increase of 8.8 per cent compared to the 341 sales in December 2013. The benchmark price of an attached unit increased 4.5 per cent between December 2013 and 2014 to $476,800. The Real Estate Board of Greater Vancouver reports that residential property sales in Metro Vancouver reached 2,516 on the Multiple Listing Service® (MLS®) in Nov 2014. This represents an 8.4% increase compared to the 2,321 sales in November 2013, and a 17.7% decline compared to the 3,057 sales in October 2014. It’s been a more active fall than we typically see in the Metro Vancouver housing market. Home prices across the region have experienced steady gains in 2014 of between three and seven per cent depending on property type. New listings for detached, attached and apartment properties in Metro Vancouver* totalled 3,016 in November. This represents a 7.1% decrease compared to the 3,245 new listings in November 2013 and a 32.8% decline from the 4,487 new listings in October. This is traditionally a low inventory time of year, so it’s a good time to list your home for sale if you want to face less competition in the marketplace. The Home Price Index composite benchmark price for all residential properties in Metro Vancouver is currently $637,300. This represents a 5.7% increase compared to 2014. Vancouver Real Estate busiest May since 2007. VANCOUVER - The mortgage wars between big banks helped stoke British Columbia’s real estate markets to their busiest May since 2007, according to the B.C. Real Estate Association. 2. Sale are still way off May of 2007’s near 12,000 transactions, but they increased double-digits in nine of 11 real estate boards, which pushed up prices. The provincial average price for a home in May was up 6 % from a year ago to $565,233. 3. The first five months of 2014 sales were up 17 % to 32,894 units compared with 2013 and the cumulative average price was up 7.7 % to $571,648. 4. Consumer demand was much stronger last month with unit sales posting their highest level in May since 2007. The best solution to high Metro Vancouver housing prices is to dramatically increase the housing supply, according to UBC professor Michael Goldberg. Goldberg, Professor and Dean Emeritus with the Sauder School of Business at UBC, said that if property developers were allowed to build a surplus of residential units, the costs would come down. And high-rise condominiums is the best product to build. Demographic shift is being seen toward smaller households, older and retired people who have lost interest in single-family homes and a working population who would prefer to live in the city rather than commute from the suburbs. "Foreign purchasers of real estate in Vancouver are making valuable investments here", said Goldberg and Canadians should be creating a favorable environment for these investments. The City of Vancouver should abandon regulations that protect "views of the mountains" said Goldberg. He considers the mountains to be high enough that buildings are not going to interfere sufficiently with the views to bother with a regulation. Building height limits also should be dropped in Vancouver according to Goldberg. He says that market condition should dictate height of buildings, not planning regulations. U.S. cities such as Chicago have minimal planning regulation and no height limits, explained Goldberg. Chicago has about three times more built floor area per square foot of land than in Vancouver. Goldberg contends that planning regulations hold back the efficient construction of new buildings in Vancouver to meet a growing demand for real estate. A restricted supply of residential units is in turn pushing up the cost of property development and housing. Michael Goldberg provided Property Biz Canada with the following list of pluses and minuses for the construction of tall buildings: Tall Building Pluses - Make more efficient use of urban land; - Create customers for Skytrain, Canada Line and buses; - Add to urban built form supply efficiently and lower price per buildable square foot; - Allow for urban core open-space; - Encourage mixed uses further adding to urban efficiency and reduction in traffic; and - The only way to reduce building and occupancy costs without expanding freeways. North and West Vancouver Realtor. Help you to buy and sell home in Greater Vancouver. Articles are from various sources and courtesy to Real Estate By Weekly and others. The Real Estate Board of Greater Vancouver (REBGV) reports that residential property sales of detached, attached and apartment properties on the region’s Multiple Listing Service® (MLS®) system reached 2,317 in October, a 1 per cent decrease compared to the 2,337 sales in October 2010 and a 3.2 per cent increase compared to the previous month. Those sales rank as the second lowest total for October over the last 10 years. New listings for detached, attached and apartment properties in Greater Vancouver totalled 4,374 in October, which is on par with the 10-year average. This represents an 18.3 per cent increase compared to October 2010, when 3,698 properties were listed for sale on the MLS®, and a 23 per cent decrease compared to the 5,680 new listings reported in September 2011. 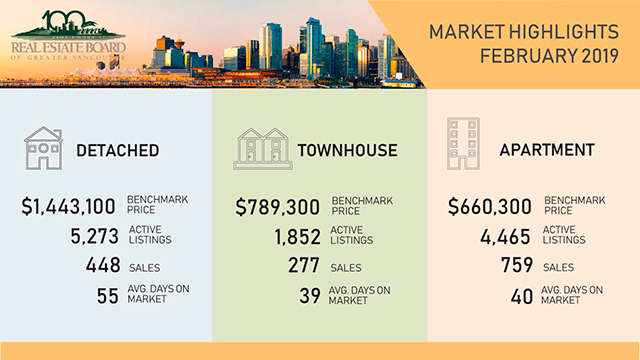 The total number of properties listed for sale on the Greater Vancouver MLS® system currently sits at 15,377, which is 9.3 per cent higher than the 14,075 properties listed for sale during the same period last year. October was the first month that the total number of property listings showed a decrease this year. The MLSLink® Housing Price Index (HPI) benchmark price for all residential properties in Greater Vancouver over the last 12 months has increased 7.5 per cent to $622,955 in October 2011 from $579,349 in October 2010. However, since reaching a peak in June of $630,921, the benchmark price for all residential properties in the region has declined 1.3 per cent. Sales of detached properties in October reached 974, which represents virtually no change from the 976 detached sales recorded in October 2010, and a 34.5 per cent decrease from the 1,487 units sold in October 2009. The benchmark price for detached properties increased 11 per cent from October 2010 to $884,778, but decreased 1.3 per cent compared to the previous month. Sales of apartment properties reached 958 in October, a 2.6 per cent decrease compared to the 984 sales in October 2010, and a decrease of 40.4 per cent compared to the 1,607 sales in October 2009. The benchmark price of an apartment property increased 3.2 per cent from October 2010 to $402,702, but decreased 0.7 per cent compared to the previous month. Attached property sales in October totalled 382, a 1.3 per cent increase compared to the 377 sales in October 2010, and a 37.4 per cent decrease from the 610 attached properties sold in October 2009. The benchmark price of an attached unit increased 6.5 per cent between October 2010 and 2011 to $519,455, and increased half a per cent compared to the previous month. A positive close to this week on Friday, as a plan to deal with the European sovereign debt crisis started to come together. Other positive news is that the US retail sales figures for September beat the market expectations. Canada’s factories were working steady in August, and U.S. consumers were buying last month, strong indicators that the North American recovery is alive and kicking. Fresh data released Friday shows Canada’s manufacturers posted a surprisingly robust 1.4 per cent jump in sales, almost three times the expectations, while in the U.S. consumers bought enough autos, clothing and furniture in September to boost retail sales by 1.1 per cent. The new numbers ended a week and a half of mostly positive news, including jobs, export and housing numbers in Canada and rebounding equity markets globally. “It actually looks like the economy did rebound with some authority in the third quarter,” said BMO’s deputy chief economist Douglas Porter. On the local level, “MLS® home sales edged up 3 per cent in September compared to August on a seasonally adjusted basis,” said Cameron Muir, BCREA Chief Economist. “Housing demand last month was bolstered by persistent low mortgage interest rates and a surge in employment." The above is an excerpt from the Globe and Mail, BC Real Estate Association (BCREA) and the Mortgage Brokers Association of BC. Canada Mortgage and Housing Corporation says housing starts should hold steady for the rest of 2011 and into next year. The agency said its national point forecast is for 183,200 units started in 2011, with about 183,900 next year. It's third-quarter housing market outlook says starts have been strong in the last few months, but are expected to moderate closer in line with demographic fundamentals. It said that immigration and low mortgage rates are supporting Canada's housing sector, despite the recent financial turmoil in the markets. CMHC's point forecast for existing home sales is 446,700 units, which is essentially the same level as last year. It says sales are expected to grow “modestly” in 2012, with a point forecast of 458,000 units. The average price increased in the first half of the year due to more higher-end homes being sold, but the average price is expected to moderate in the end of 2011. It says growth next year should be more modest. West Vancouver will be changing. 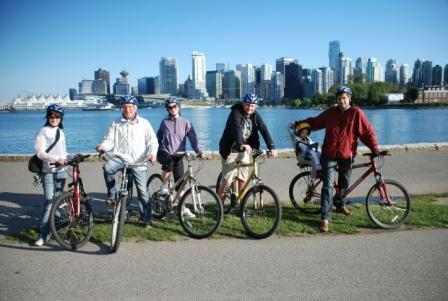 This idea of revitalizing Ambleside– the traditional heart and gateway of West Vancouver community – is not new. It has been under debate for many years, with lots of thoughtful, citizen-led reports outlining possibilities for enhancing the village and enriching the quality of life we treasure. Along the 1300 block Marine, plans include a walk-through atrium, new four-storey mixed use buildings with commercial space below and housing apartment/condos above, new storefronts, new waterfront amenities and retention of the arts corridor and parks along the beach. West Vancouver municipality will continue to acquire the beachfront properties along Argyle for public use. The West Van Police station would be moved up by municipal hall. Opening hours would be extended beyond 7 pm. Developers are also planning a 138 residential seniors housing building on the former Wetmore Motors site (2200 block Marine). Rounding out the mix is Park Royal. Their recent council approval for a new “at grade” street level intersection across Marine Drive indicates their intent to pursue several new developments. Their first project will be the removal of the westernmost vehicular overpass and the installation of the above mentioned street level intersection across Marine Drive. In a revitalized Ambleside there will be more locals living close to the village centre, additional small retailers, pedestrian enjoyment, office space, a strengthened arts scene and more to do in the evening. Ambleside must retain the village life we cherish, and it should not have to shut down after 7pm. I am dedicated to helping my clients buy and sell luxury residential and investment property in West Vancouver.